Densities and viscosities of binary mixtures of methyl tert-butyl ether (MTBE) with 1-alkanols include 1-butanol, or +1-pentanol, or +1-hexanol, or +1-heptanol were measured as a function of composition from 293.15 to 308.15 K at atmospheric pressure. 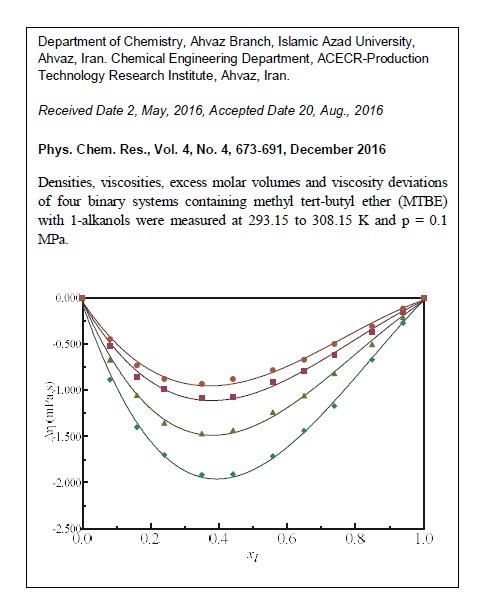 The temperatures studied were 293.15, 298.15, 303.15 and 308.15 K. The experimental results have been used to calculate the viscosity deviation Dh and volumetric properties such as , and . Both and Dh values were negative over the entire range of mole fraction for all temperatures and systems studied. 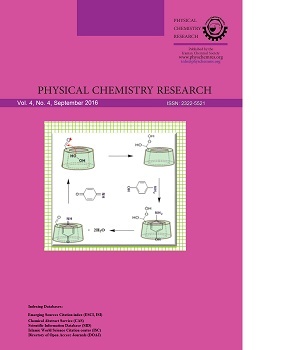 The results for all volumetric and viscometric properties are discussed on the basis of molecular interactions between the components of the mixtures.